I am pleased to announce that two of our photos have been bought by Korean magazine ‘MagazineB’ for their May issue. MagazineB showcases one brand per issue, and this time have chosen Australian manufacturer and retailer ‘Aesop’. This is one of the photos selected and it is, of course, a credit to the store manager of Aesop, 143 Greville Street, Prahran. 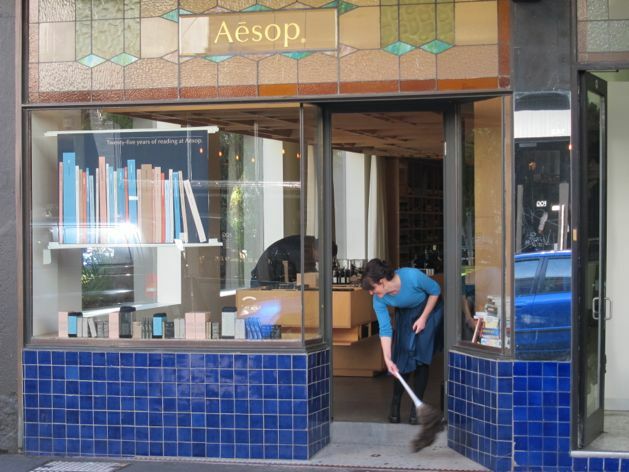 I hope Aesop and their Greville Street staff can share this success with us. They are sending a hard-copy of the magazine to me from Korea so I will show it to you when I get it.